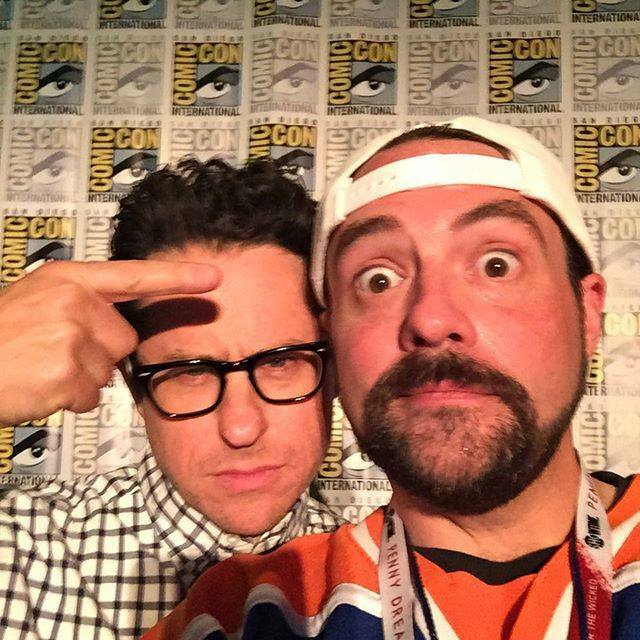 Tonight's New 'The Force Awakens' Trailer Made Kevin Smith Cry "Tears of Joy"
Smith got the attention of Star Wars fans when he visited the set last summer during filming. Smith spoke glowingly about his visit, without giving away spoilers. He later gained Star Wars headlines during San Diego Comic Con where he followed up the Star Wars panel in Hall H - only it was mostly empty for his panel because JJ Abrams invited the entire audience to a live outdoor concert of Star Wars music. We'll all get our chance to see if we have the same reaction as Smith when the trailer airs tonight during Monday Night Football on ESPN. J.J. probably felt bad about stealing all his fans at Comic Con so to make up for it, he let Kevin see the trailer before everyone else.